If you are an fairly advanced computer user, at times you may need to boot from devices other then the default hard-disk, mainly to troubleshoot virus infections and other critical operating-system related issues, I had shared tips on how to make bootable cd for performing advance system tasks on windows. Today I will share few utilities enabling you to create bootable USB pen drives with ease, you need to have Motherboard/BIOS with USB boot support for this to work. MakeBootable is an free and simple-to-use utility to make your Pen Drive act as a boot-up disk without erasing any data on the device. It consists of a single executable file and requires no installation, However the utility will only work on USB device's using Phison’s chip solution and FAT file-system only (you can re-format your drives to FAT easily). If the above utility fails to recognize your USB drive you can download and use the HP USB Format Utility and HP USB Boot utility, They work with other brands of flash drives as well, The best software for creating bootable flash drives with the most extensive support of drives and advance options would be "FlashBoot" from PrimeExpert but its not free and costs around $31, you can download and try the demo version. With your device inserted, restart the machine. 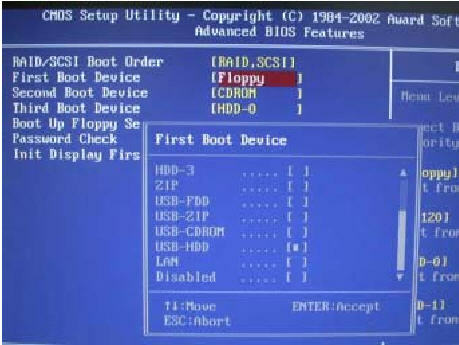 Enter the BIOS setup menu to change the boot device setting. 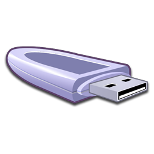 If the boot-up files are created in the USB drive, select USB-HDD or USB-ZIP (preferred). If the boot-up files are created in the floppy drive of your device, select USB-FDD (for Pen Drive that supports security mode). Save and exit the BIOS setup. You should be able to boot up with you USB device. MakeBootable is a free software which lets you convert your pen drive into a bootable media, After making your pen drive bootable with makebootable you can use your pen drive like a windows xp bootable cd. Makebootable is so easy to use, as it make your normal USB pen drive a bootable media in one click. But there is a limitation, you will need to format your pen drive with fat file system in order to make your device bootable. 1. Backup the existing files on the drive. 3. Now Run Makebootable.exe to make your USB portable device bootable. After making your pen drive bootable, go to your BIOS and select USB Device as First Boot device in the boot device priority. Why give up all of that "dollars-per-Gb" space when you can keep & use all of it? The only reason I made ONE with a FAT-booter is for my older machines, that can only run Win95 or Win-3.11, and which can't "see" NTFS, and I need to boot them in order to fix something on the disk to make it boot normally again. this utility is really good and it work iseley and use ful. It works for me ......and really simply way to make bootable pen drive..
format with fat file system and also run makebootable.exe. after this massage shown "Your device is bootable" and also setting in CMOS first boot device is USB Key. but no booting with USB massage. Fake links, don't try to cheat in a cheaper way. Your link is pointing to nothing. Pls. keep your frustration to yourself, the original website seems to be out of the business the links were working when the story was posted months ago, I have found the pendrive boot utility from internet and corrected the links above. It's a useful Software but,This program does not support FAT32 and NTFS file system.and latest pen drive doesn't support fat file system in winxp so give me right suggestion.what should i do. when we make a bootable usb disk then and make the setup of XP after that, can we format the pendrive and use for data travelling? This software with article have provided mr the best way to boot my PC without the CD. Format the Pendrive or USB drive in NTFS format first. From the start menu right click on the command prompt and select “Run as administrator“. Now type the following commands (Press enter key after each command). diskpart. This is to open the disk partition program. Now to show the list of drives type list disk. You can see disk’s listed there. Note down the disk number of your pendrive eg. Disk . Now insert the Windows 7 Installation DVD and to your DVD drive. Finally copy all the contents from the Windows 7 DVD to your Pendrive. Make sure you don’t cause any errors. Plug / Insert your pendrive to your PC and restart the system. Now Enter the Bios system accordingly by pressing the key delete. (This may vary some times it will be F2 or F12. It depends on the type of your system. Any how during the start up your system will display which key to press to enter the Bios). Now select the USB/ Pendrive as the first boot driver. (Set the first boot priority to USB drive.). Now save the settings in Bios and restart and you will be able to Install Windows 7 using that pendrive. this software is good but drawbag in software not availbile option NTFS . thanks for the apps, no virus found. please i need one of you pen drive. please can you give me one of you pen drive . please!!!! this is you p.o boxtt8 tema new , accra , ghana . this my email: eaboah2012@sailormoon.com . please help me . please!!! . how about i send you my 18 year old virgin bride instead......, i need my pen drive! if i want to boot windows xp from usb drive..i need to put all files form WINDOWS XP CD and make USB stick bootable, like u said...It's OK??? hmm this article is well explained. I used the HP boot thing on my 8 GB flash frive now it boots but says its got 3,64 GB!!!!!!!!!!! It's not the utility that has done this. It's the FAT file system that has a limitation on the size of a partition. Max 4 Gb, I believe. ...Just run them thru a malware checker first! This program only support fat file system but latest pendrive doesn't support fat file system in winxp so....what should i do. Nice ...but I would like to have something for NTFS!! hi i am also trying to use flash disk to boot my aspire one laptop as my laptop dont have a built in cdrom so i need to boot it through flash disk but the trouble is the when it boot my pc it takes me to the command prompt without loading the hdd driver and i am not able to use norton ghost from command prompt to clone my partitions and cant install any other operating system since it dont load disk driver then os cant find any disk to be installed, and also i cant do new partitions aswel, kindly help me and all other peoples who have the same problem. one more thing that the link provided above "Some of these Programs (makes the disk more useful) " dont work.if it is possible that to make a bootable flash disk which loads all necessary drivers just like if your are booting with win98se cd from cdrom then it will be awesome.Thannks and i will be desperatly waiting for your reply. Dear sir, i want to download and use "Make Bootable Software (Zip)". But while downloding it stops with an error. I want to install Windows7 on my laptop. Plz. help. be gratefull for the man's attempt to wise up your dumb asses, but no...piss and moan. if you don't understand what the man is explaining here.....then maybe...just maybe...your to stupid to do it? useful links and useful point-outs on ho to make this working! Your idea is make pen drive bootable is whole wrong. THis is all wrong ..........................Retry again. 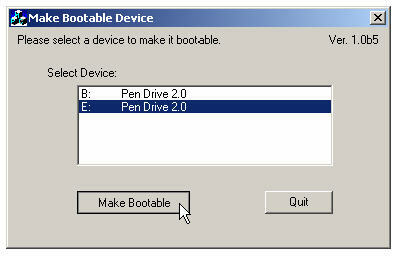 how to make a usb bootable pen drive for window xp and window 7...??? you want bootable for format or make for boot without formatting? i want to make bootable pen drive. i am try but i am not create for USB Bootable. so plz help me. i want to mak my pendrive bootable ...? how to make the firewall as the computer pc ? This utility does not work in either Windows 7 or XP. I does not see the USB drive so the first step cannot be completed. Sorry it is useless. This app really works and It made by usb bootable and I used it to install windows 10 on my pc as well. It gave me no problems at all. Thanks for this excellent utility! how i can make a bootable pendrive?????? thnx for your post as i really wanted to create a bootable pendrive so thank you very much.....!! my cd/dvd writer no work. pan drive via HDD OS install any computer support. plz help me? If really want to boot from usb and want to successful installation of windows xp ( not other os) pls use WinSetupFromUSB 0-2-2. very very handy tools without no headache . I am use this several time without no problem. Thanks a lot, it worked. But how to convert ISO file to bootable normal file? Free Utility that Creates Bootable USB Drives are better technique guaranteed to work across all systems. UNetBootin is one of the best software to make Bootable USB Flash Drives and absolutely free for use. It is always easy and worked perfectly!! 1) How to Bootable in Pendrive? 2) How can i install windows xp? Thanks to sharing this article its really helpful. we are facing many problem to setup windows by using CD/DVD. Very useful utility for making pen drive bootable. Thanks for sharing it. Thanks,, I made bootable pendrive of myself.. Thanks again! How can I make bootable DVD of window 7 or 8 with ms office, synfig, kompozor, scite and other programs. I want to install all programs and operating system at once, so how can it possible ?